I recently watched a documentary movie called the Buena Vista Social Club. It had been out for awhile. I was bored on one of the many snow days that we have experienced, so I decided to watch. It is in Spanish with English subtitles. I am fluent in Spanish but there were some words that were obviously local to Cuba. One of the things that impressed me was the heavy influence of Ibrahim Ferrer and other musicians of color in the film. Ibrahim Ferrer looked like he could have been raised in Ghana or here in Philadelphia. He was one of the lead singers and passed away in 2005 at the age of seventy-eight. The Buena Vista Social Club was a members club that was formed in Havana during the 1940's. It was a popular place for local musicians to meet and play. It had a social need and actually had its origins based on a community called a Cabildo. During the era of Spanish colonialism, people of color banned together to preserve their culture and express themselves after grueling days of servitude. In Cuba, the Sociedades de Color, was a response to the institutional racism existing on the island at the time. There was a movement by the government during the 1950's to eradicate organizations based on color and the Buena Vista Social Club died a painful death. In the 1990's, nearly 50 years after the club closed, a collaboration between Cuban musician Juan de Marcos Gonzalez and American guitarist Ry Cooder spawned a great deal of interest in this era and the astounding musicians that helped to express our African roots. The eventual film was produced by German Director Wim Wendus. Besides Mr. Ferrer, the lead musicians were Compay Segundo and Ruben Gonzalez. These artists both passed away in 2003. They were able to carry on their original legacy with a major concert in Amsterdam in 1998. I was impressed with how smooth the music was and the love that the musicians had for each other. 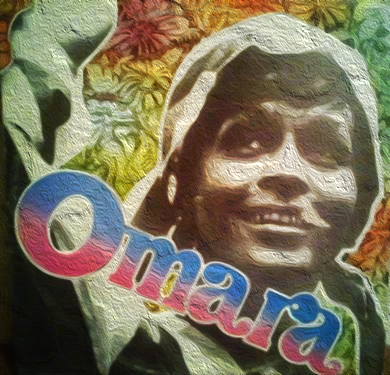 Another musician that had major influence during this time was Omara Portuondo. Omara's mother was born into a rich Spanish family. She did not adhere to her expected ascent into a society of privilege. She eloped with a Cuban baseball player of African descent. Omara formed a group called the Cuarteto Les D'Aida in the early 1950's. While recording at EGREM studios, she was immediately enlisted by the Buena Vista Social Club. She sang with the Orquesta Anacaona during the early 1950's Her groups success led to a tour of the United States and a collaboration with Nat King Cole. Mr. Cole will be the subject of another blog in the near future. She recorded a solo album called the Magia Negra and the influence of African rhythm in her music was evident. The era saw the birth of the jazz influenced mambo, the charanga, and dance forms such as the pachanga and the cha-cha-cha, as well as the continued development of traditional Afro-Cuban musical styles such as rumba and son, the latter transformed with the use of additional instruments by Arsenio Rodríguez to become son montuno. Son, described as "the bedrock of Cuban music", has shaped much of twentieth-century Latin music, and had a strong impact on popular music, not only in Latin America, but also in the United States during the late nineteenth and early twentieth centuries. This is one of many examples of thriving culture inspired by members of the African Diaspora. We were originally in servitude in this tropical paradise. The natural rhythm of our culture arose and we made an impression on a supposed racially stratified society. I just wanted to call attention to the fact that the opportunity to learn that we are not just Black is a life long process. I appreciate African culture, history and the major influences we have made around the world. Cuba is also famous for its dance forms and one can also surmise that an African influence was evident. The birth of the Afro-Cuban All Stars is a testament to the lasting influence we have exerted on this beautiful island.